CERDAAC® SIMCO Manager™is an advanced cloud-based software service that provides complete program management for calibration and repair services performed by SIMCO. SIMCO Manager is included with SIMCO calibration and repair services and can be securely accessed over the web by authorized users at any time. 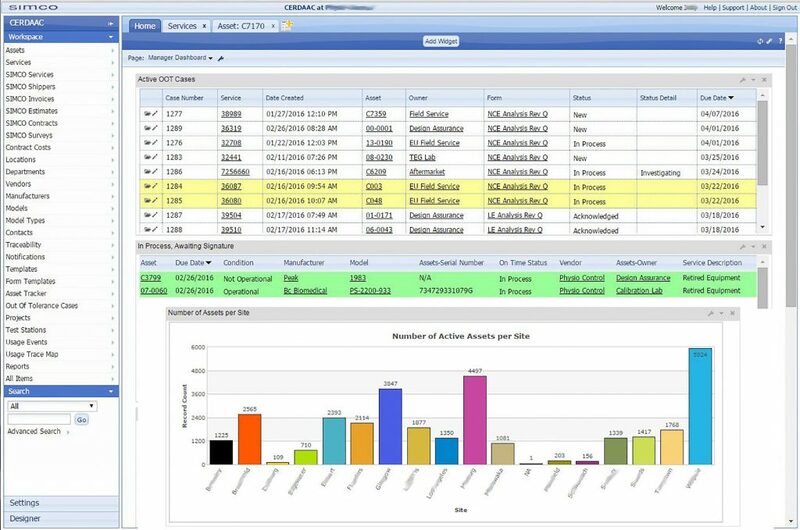 The software provides many advanced service program management capabilities, as described below. To receive a datasheet or online demonstration of CERDAAC SIMCO Manager, please contact us.